Batman: The Telltale Series Episode 1 is now available on Android at free of cost. 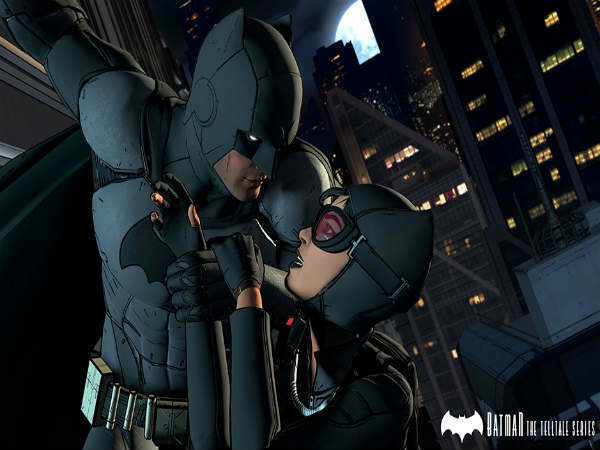 Telltale Games has finally launched the highly anticipated Batman episodic series game on Android platform. The superhero game was firm made available on console, desktop and iOS platform. While console and desktop users can experience till episode 3, and iOS users can play till episode 2, Android users can only download and play the episode one of Batman: The Telltale Series. However, it is worth mentioning that Android users can download and install the episode one at free of cost whereas iOS users have to pay Rs. 300 to play the game. If you are a Superhero fan and especially the Batman, then you must install this game. It's a new take on the Dark Knight and the episode one- Realm of Shadows (and the entire series) puts a lot of emphasis on Batman's alter-ego, Bruce Wayne. As a player, you have to make choices as both Batman and Wayne that will define the storyline in the later episodes as he fights crime in Gotham City. Batman's supporting cast and villains include Alfred, Commissioner Gordon, Catwoman and more. While you can fight the crime in Gotham city as Batman, the Telltale Series also contains an all-new gaming feature called Crowd Play. It puts audience in control and allows them to vote on which decision you make next in the game. Turning on the Crowd play creates a shareable web link, where people with the URL can vote on different dialog options, which are then tallied live onscreen. It's a new multiplayer mode where in addition to the in-game adventure, you also deal with the real-life gamer's strategy. We downloaded the 800MB game on Samsung Galaxy S7 Edge and the gaming experience was not satisfactory. The continuous frame drops, low resolution and laggy experience made the overall game play a bad experience. A software update might resolve the issue nut as of now you have to deal with it. For now, the game only supports devices running Android 6.0 Marshmallow, and versions of OS 5 Lollipop that support OpenGL 3.1. More devices will be added in the list in the upcoming months.